Natalie D. Collins | Bode & Collins, P.L.C. Natalie has obtained millions of dollars in verdicts and settlements for her clients in negligence and product liability cases. Since founding the firm with Chris in 2006, Natalie has devoted the majority of her professional time to representing people who have been injured or lost a loved one because of negligence. Prior to law school, Natalie attended McGill University in Montreal, Quebec, on an academic scholarship. In 1992, Natalie graduated from McGill with First Class Honors with a Bachelor of Arts in physiological psychology (neuroscience). Following her graduation, Natalie continued working at McGill in neuroscience. In 1993, Natalie moved from Canada to the United States. She attended graduate school and spent several years doing medical and scientific research and working at the Sleep Disorders Center at Columbia-Presbyterian Medical Center in New York City. She left her job to attend law school and pursue her interest in law and medicine. Since graduating from law school Natalie has enjoyed a successful legal practice with an emphasis on medical-legal issues. 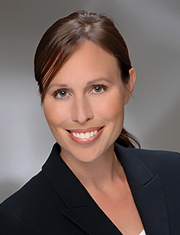 Natalie started her legal career at a large and prestigious defense firm in Arizona. Among other things, she worked to defend physicians, dentists, and manufacturers of medical devices against claims of negligence. Struck by some of the tragic wrongs suffered by plaintiffs, Natalie began to devote some of her professional time to working for plaintiffs. Natalie is a member of the Million Dollar Advocates Forum and Multi-Million Dollar Advocates Forum. She has been listed in the Top 100 Trial Lawyers in Arizona by the National Trial Lawyers Association from 2011 to present, and is AV rated (the highest possible peer review rating in legal ability and ethical standards) by Martindale-Hubbell. Represented a man who had half of his pancreas removed by a surgeon who was supposed to take out his adrenal gland ($1.25 million dollar verdict). Represented clients whose parents were killed by their grandson who became lethally violent after failing to receive mental health services and residential care from an entity paid to provide it ($1.5 million dollar verdict). Recovered a settlement in a case against a psychiatrist who failed to protect two people from lethal violence by a patient the psychiatrist knew or should have known posed a serious risk of harm (confidential settlement).